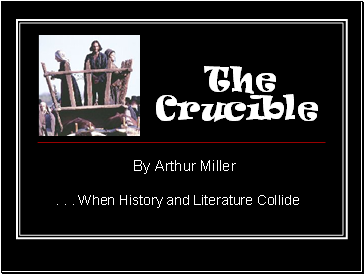 The Crucible is . 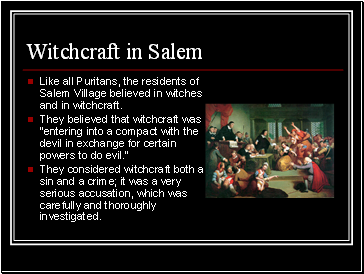 . .
Like all Puritans, the residents of Salem Village believed in witches and in witchcraft. 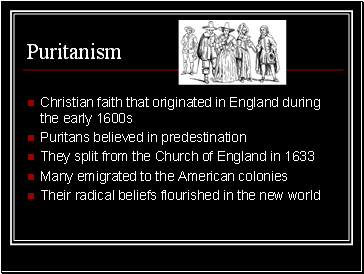 They considered witchcraft both a sin and a crime; it was a very serious accusation, which was carefully and thoroughly investigated. 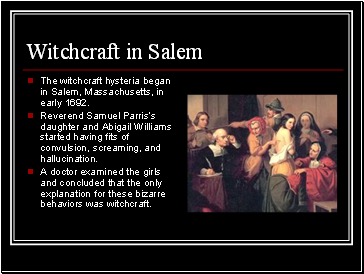 The witchcraft hysteria began in Salem, Massachusetts, in early 1692. Reverend Samuel Parris’s daughter and Abigail Williams started having fits of convulsion, screaming, and hallucination. A doctor examined the girls and concluded that the only explanation for these bizarre behaviors was witchcraft. A recently published book of the time detailed the symptoms of witchcraft; the girls’ fits were much like those described in the book. 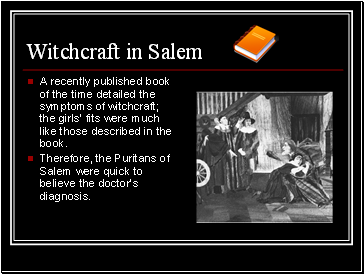 Therefore, the Puritans of Salem were quick to believe the doctor’s diagnosis. 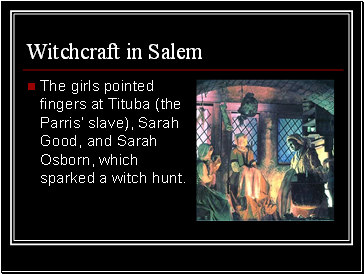 The girls pointed fingers at Tituba (the Parris’ slave), Sarah Good, and Sarah Osborn, which sparked a witch hunt. During the next eight months of terror, more than 150 people were imprisoned for witchcraft. By the time court was dismissed, 27 people had been convicted, 19 hanged, and 1 pressed to death. 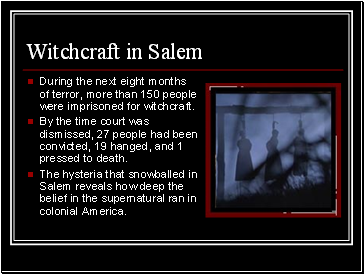 The hysteria that snowballed in Salem reveals how deep the belief in the supernatural ran in colonial America. 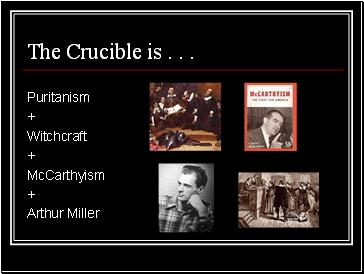 McCarthyism is the term used to describe a period of intense suspicion in the United States during the early 1950s. 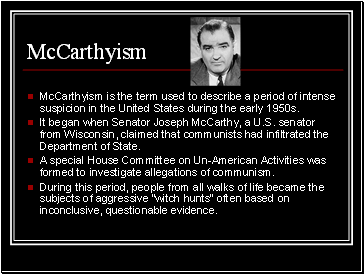 It began when Senator Joseph McCarthy, a U.S. senator from Wisconsin, claimed that communists had infiltrated the Department of State.